Brides across Georgia choose Thistlewood Farms for their wedding venue. With over 52 acres on a fully functioning pecan farm, there is endless opportunity to create a picture-perfect day. The ease of an all-inclusive estate venue makes wedding planning fun and easier than ever. Weddings at Thistlewood Farms can be customized based on the number of guests, colors and theme. A bridal suite and a groom’s suite is available throughout the day. Gary and Kelly Thistlewood will work with you directly to ensure the venue is perfectly set up to create the most beautiful ceremony and reception. 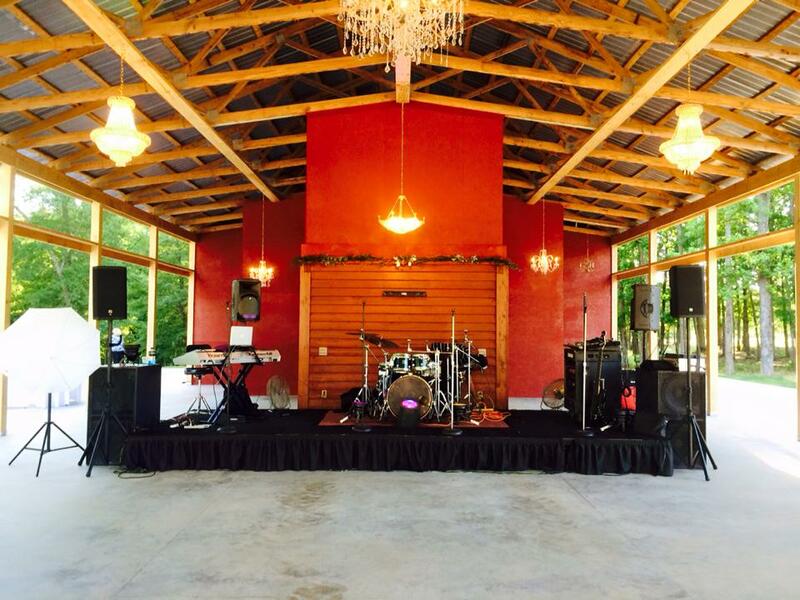 While Thistlewood Farms is most often used as a wedding venue, the space can accommodate family reunions, corporate events, retirement parties, birthdays and showers. Craft your perfect celebration at Thistlewood Farms. Contact us for more information. Gary and Kelly you have created a magical place! 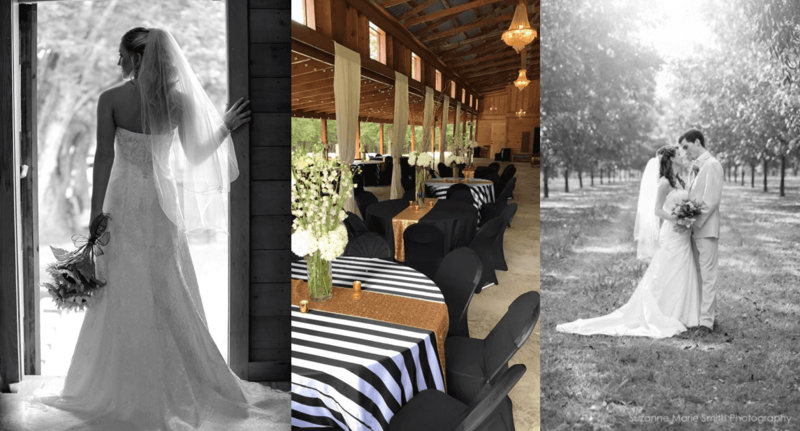 Your venue is absolutely perfect! Amanda and Michael’s wedding was fabulous! The photo opportunities are endless. Decorating was easy due to the beautiful setting, the amazing pavilion. You guys are # 1 in our book. If anyone is looking for a special occasion venue this is the place!! It’s an awesome place for a wedding. We had so much fun celebrating in the new open barn. It was beautiful with the new chandeliers!! Kelly and Gary were so nice to work with and went over and above to make Blair and Ty’s Wedding extra special !! Such an AMAZING venue! Gary and Kelly have built an absolutely gorgeous middle Georgia venue. They are wonderfully kind and professional hosts, and their attention to detail is second to none. I perform at about 40 weddings per year in middle Georgia and love the times I’m able to spend there. Give them a call today!! !